It's basically a small series resistor acting as a current shunt with a current-sense amplifier across it. 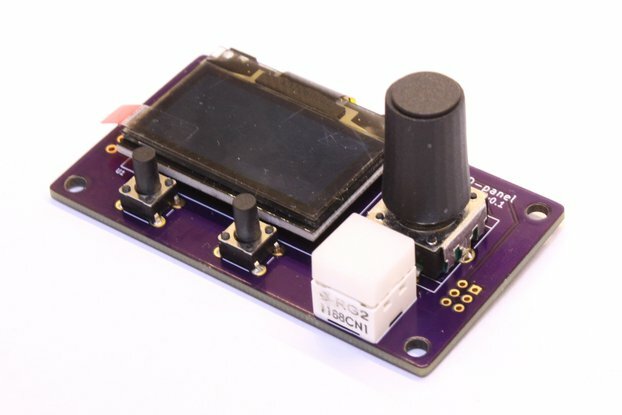 Connect the PSU to the Vin side of the probe, the device under test to the Vout side, and the probe will convert the amount of current drawn by the device into an output voltage on the I[out] BNC socket, proportional to the current drawn at 10V of output per 1A of current draw. Just configure the channel as a "x0.1 probe", and the values given by the channel now show the current in amps. 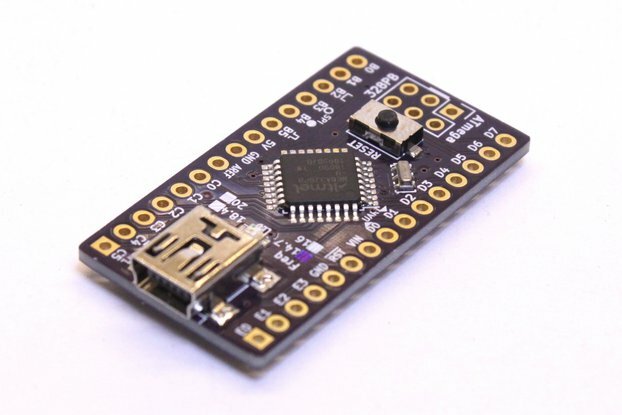 It's aimed at low-power devices, intended largely for running 5V or 3.3V supplies, up to a few hundred mA in current. The shunt resistor has a value of 0.1 ohms, so even at 200mA it drops only 20mV; your 5V supply will still be usable at 4.98V while even 3.3V remains good at 3.28V. 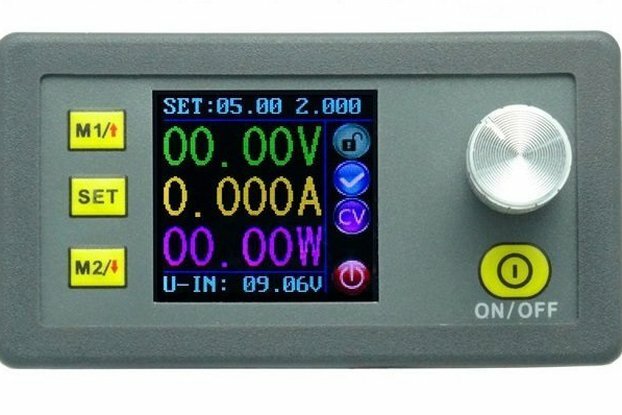 You could even use the Vout monitor on the sense input of your PSU if it has one, to let it account for this voltage drop itself, and ensure your load really does receive the exact voltage required. There are two options to power the sense amp. It can be powered by the input supply so it does not need a separate PSU, though this does limit the available voltage swing on the I[out] monitor output. Or, you can supply a separate source of power for the amplifier than is powering the load; either to give the current output signal a greater range, or because you want to power the load at less than 3V. With the maximum current, keep in mind that while the device itself can handle up to 1.5A though it, it won't be able to indicate this as a voltage on the I[out] socket unless it is supplied by at least 15V. 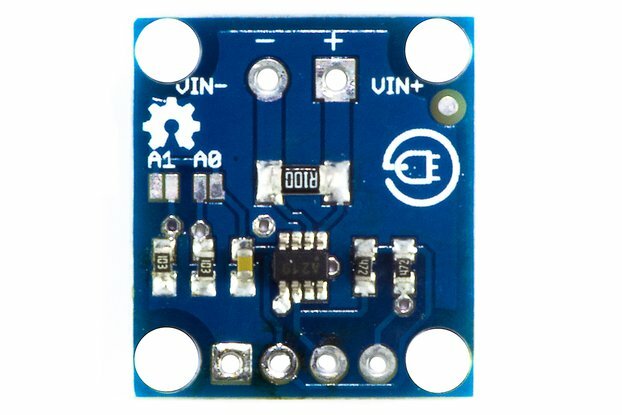 Conversely, if powered by only 3V, it will only be able to indicate a current draw of 300mA. The device under test may draw more than this, though it will not be possible to directly measure how much using the output. The shunt resistor is placed across the positive supply to measure high-side current, leaving the ground a low-impedance path between the supply and the load. Additionally this is the ground that the output is referenced to. 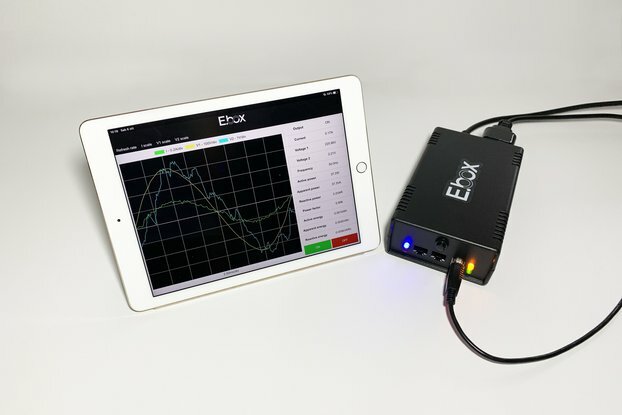 This means you can happily power your device from a ground-referenced power supply if required, without upsetting the oscilloscope. Also you can use other oscilloscope probes in different parts of the circuit, because they all share a common ground. If you wish to power the sense amplifier with its own supply, it must use a common ground with this. By comparison, this probe is aimed more towards the hobbyist end of the spectrum. It is much cheaper though obviously its specifications won't fully match these kinds of numbers. 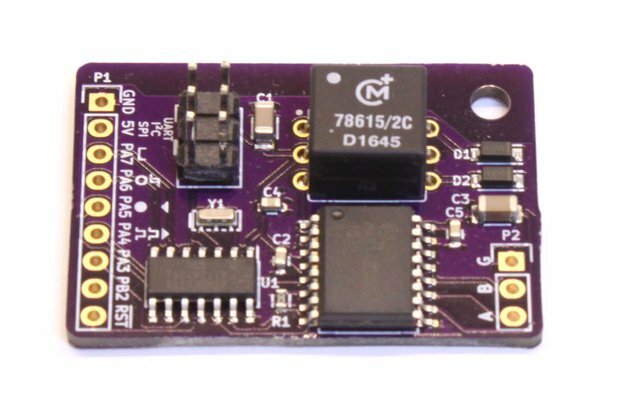 The current-sense amplifier on this board is rated up to 28V, and has a quoted bandwidth of 1.8MHz - still ample to view current consumption transients at the microsecond scale. Input bias noise within the sense amplifier will limit its accuracy at tiny currents below 1mA or so, and the maximum amount of current it can handle is 1.5A. I didn't have any bnc cables around, so I had to solder on a (standard) header pin (not included) so I could attach my scope probes. The board is well labeled & built. The only thing I would suggest is read the description carefully and understand the limits. Works great for what it is intended for! Having used it for a while now, I love it even more. I ended up putting it in a small box as it could get odd readings if I touched it; or it grounded to something else. (duct tape worked great until I happened upon a perfect box). I recently built a few "uCurrent" boards & compared it this; readings were very close. In fact, this fluctuated (accurately) more than the uCurrent; this is good when viewing on an oscilloscope as you get a better feel for leds flashing, or more loss -- the uCurrent seems to buffer the flutters. You really can't go wrong for this price! The space reserved for the 3pin header is useful for attaching non-BNC connectors, indeed. I decided not to populate it because people might prefer header or socket on there, so this gives them the choice - the intended users for this kind of equipment should be able to easily handle fitting that themselves. As to the current-reading limit of 100mA per volt of supply, you have found that you can't read up to 500mA when supplied at only 3.3V. It was a trade-off in design, between requiring a separate external power supply, or tapping off the same supply that powers the load. I opted for the latter as it makes for an easier setup, and should still be within the limits of what most designs require. If I did a redesign for a newer version, perhaps that's something I could look into - maybe a 3pin header you can switch with a jumper, to either tap off the supply as it does now, or use a separate supply input for the current amp. In such a setup you'd be able to supply 5V there to give it the 500mA measurement ability, but still supply 3.3V to your load.